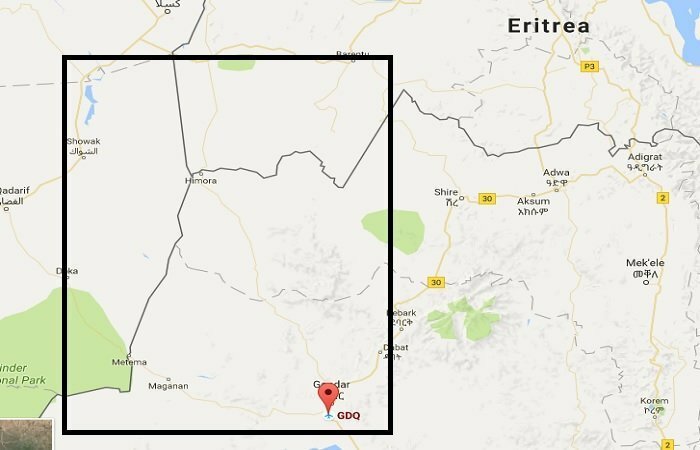 Ogaden News Agency (ONA) – Contingent of defense force reportedly deserted to join insurgent groups in Gonder region of Ethiopia. Contingent of defense force reportedly deserted to join insurgent groups in Gonder region of Ethiopia. Confirmed reports on social media claim that a contingent of defense force deployed in Gonder region of Ethiopia since August of this year under order from the prime minister deserted to join freedom fighters in the region. Some of the reports, however, cited sources from the region. The locality where they deserted,Armachiho -Gonder, has a reputation for being source of gallant combatants. With their meager individual fire arms and ammunition, residents have been fiercely fighting against militarized repression by the ruling Tigray People’s Liberation Front government for the past few months now. Exact figure of deserted army is not known. In a related development, a vehicle carrying what social media source describe as mercenaries and intelligence officers is attacked and reduced to ashes in Sanja. Report by Ethiopian Satellite Television seem to confirm the news and spoke, on condition of anonymity, to eye witnesses from the region. Also, ESAT report claimed that various guerrilla forces in the region have agreed to come together under a single command in an effort to coordinate resistance against the regime. The report added that these forces made an oath of allegiance in a church. The group has about 450 armed members and vowed to fight all the way to the point where Ethiopia is free from the minority chauvinist regime. According to ESAT report, the group will also coordinate with fighters of AG-7 fighters – a rebel force that operates along Ethio-Eritrean border. Insurgencies in Abderafi,Kabtiya and Humera areas seem to be taking root, from ESAT report.Government responded by road closure tactic in an apparent move to restrict mobility of insurgent groups. Most of Northern Gonder has been militarized for more than three months now following outbreak of popular movement for fundamental political change and for the restoration of Wolqaite, a dictrict, to Gonder as was the case before Tigray People Liberation Front took over power some twenty five years ago.